Is email best this time? Using SCRAP is easier if you can recognise each of its elements. 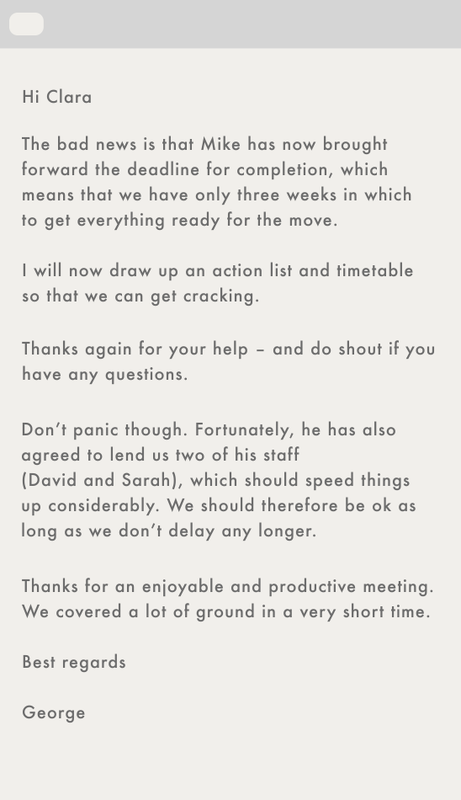 We've taken an email that already contains a situation, a complication, a resolution, an action and politeness – but we've jumbled them up. Have a read through now and see if you can spot them. Then click 'Complete and continue' (above, right) to continue to the exercise. Finished? Click 'Complete and continue ➜'.